New Album & New Shows in the New Year! Happy to say we’re putting the finishing touches on our new album… and we’re very excited to share the new music with you! Stay tuned for more news on that front. In the meantime, catch us out on the road! We’re also thrilled to be a part of the lineup for the mindblowing Big Ears Festival in Knoxville, TN in late March! Our fall touring is over and we’re working on duo album number TWO! But we’re going to take a little break on Friday night (8pm Central) to play music for you on the internet… it’s a virtual house concert, and you’re invited! We’ll share some new songs, take requests, and fill you in on what we’re up to. Tell your friends & let’s all hang out! We had another gorgeous summer up in the Adirondacks. Lots of songs were written, and we’ve already started working them into our performances… and we’re looking forward to recording later this fall! Next week Rayna will be having a reunion with her old band, Uncle Earl (they’ll be performing at Lotus Fest in Bloomington, IN), but October will find us back out on the road again. You can keep up with all our adventures on social media! 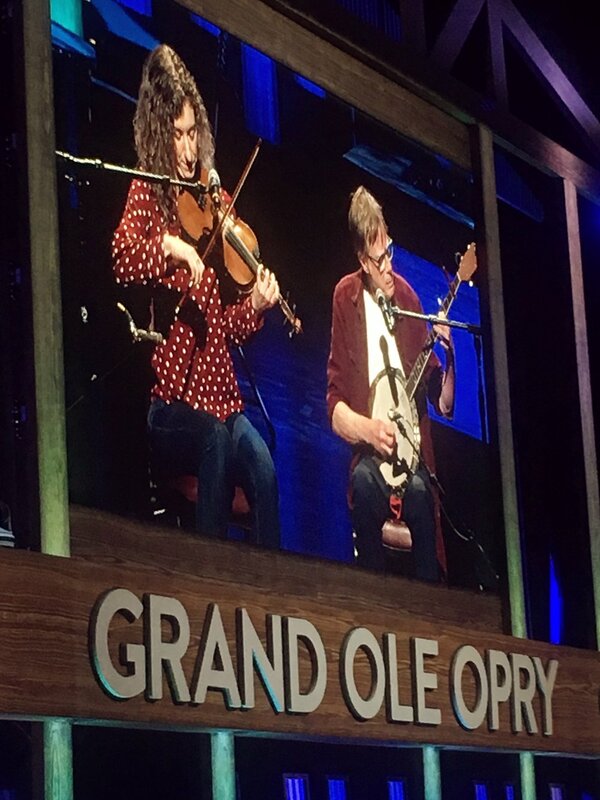 We played the Grand Ole Opry last night! 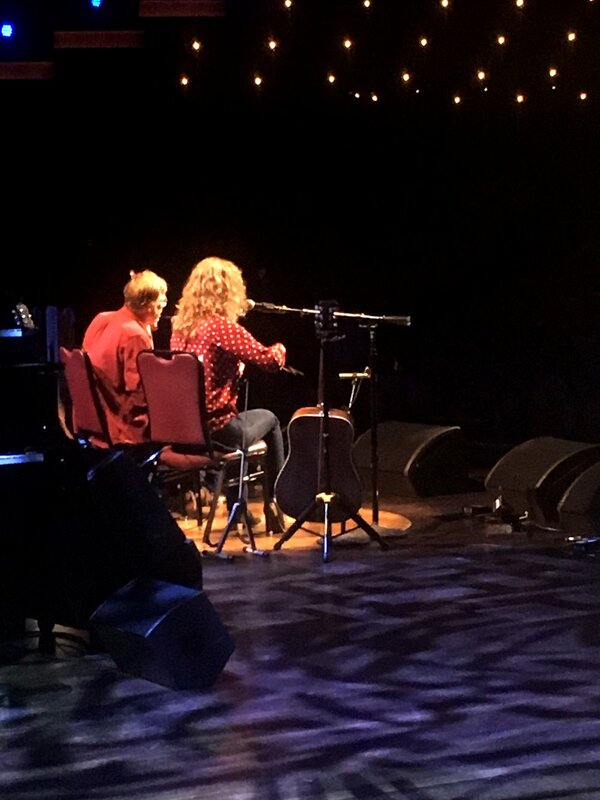 It was Rayna's first time ever on the Opry, and Kieran's first time in a long time. The whole crew there couldn't have been more welcoming and sweet. And that audience - !! Wow. We'll be floating on that experience for a long time. So special. Here are a couple photos. We'll be posting more pics and video to our social media accounts in the coming days. Yay! The Ledges is finally here! Click on over to get all the info, listen to the music, and (if you want) purchase a CD directly from us! We're so happy to have a song from our new album (coming out February 16th!) as the soundtrack to this dreamy bike tour video from Jonah Gellert! Check it out. We've just added FRESH TOUR DATES for early 2018... and more to come soon! We're so looking forward to opening for our buddies The SteelDrivers in the coming months. Want us to come play in your town? Let us know! PS: Our social media world is expanding -- now we have a Twitter account and a bandsintown account. Please follow us so we won't be lonesome out there in virtual reality! 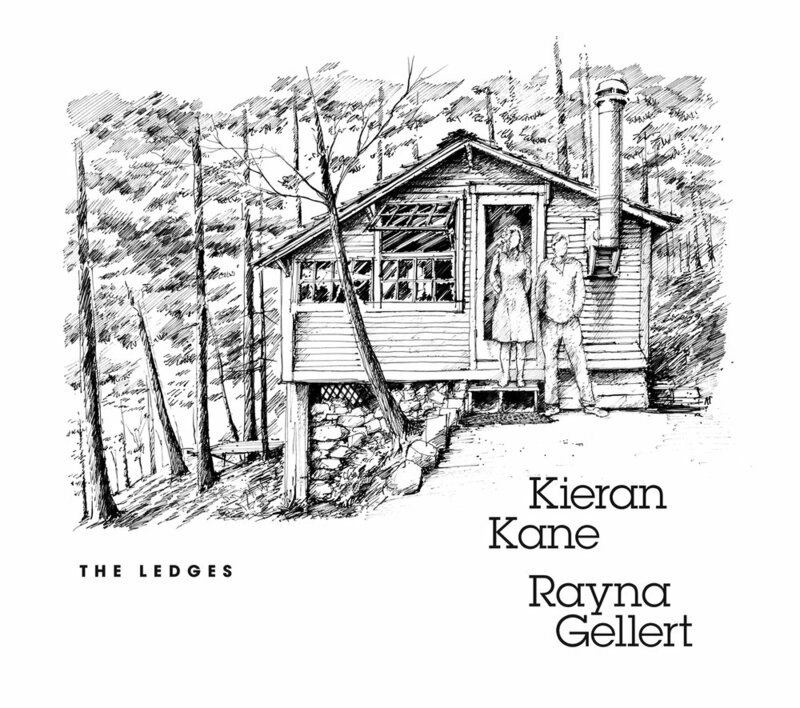 We spent the summer at Kieran's cabin in the Adirondacks making a duo album. For real! Looking forward to sharing it with you. In the meantime, here's a picture of us in front of the "studio" (the bunk house where we set up the portable recording rig). You can catch us playing this Friday as part of AmericanaFest here in Nashville. PS: We now have an Instagram account & a Facebook page!